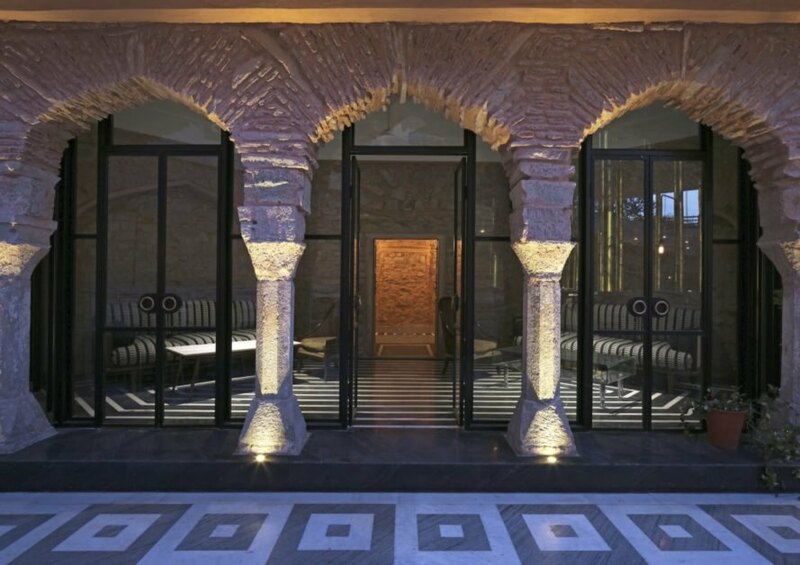 New Delhi-based, multidisciplinary design practice Studio Lotus has transformed a portion of Jaipur’s lavish City Palace Museum into Baradari, a contemporary fine dining restaurant that pays homage to its rich architectural roots. 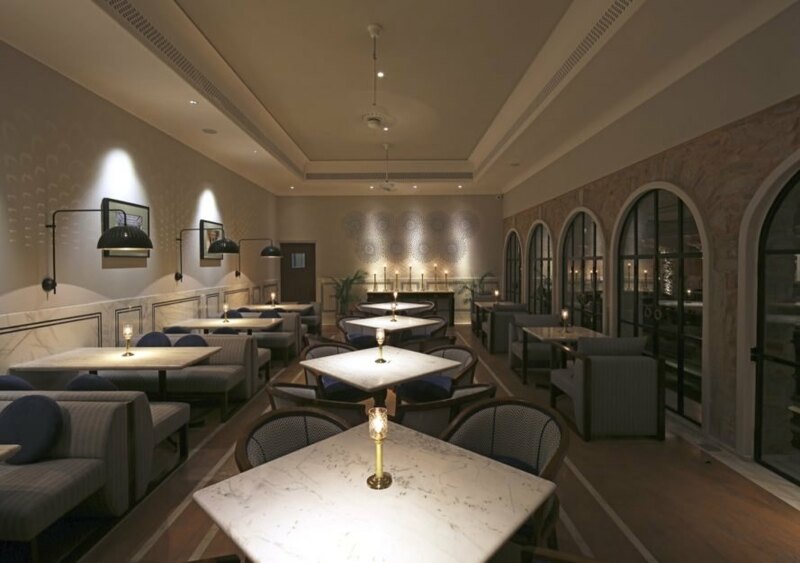 Formerly used as a fairly nondescript palace cafe, the 14,000-square-foot property has been given a sumptuous revamp using traditional craftsmanship and artisanal techniques. The adaptive reuse project is not only a hybrid of centuries-old elements and modern aesthetics, but is also a historic preservation project that included careful restoration efforts. The royal family of Jaipur commissioned Studio Lotus to redevelop the neglected property into a fine dining destination with a private dining area, bar, lounge space, a quick service counter and back of house facilities to accommodate approximately 200 patrons. The design team began with a lengthy research and restoration phase, during which the walls were stripped of recently added plaster to reveal the original stone masonry. These walls were then restored and repainted using traditional techniques and materials, including cured slaked lime with crushed sandstone and brick. 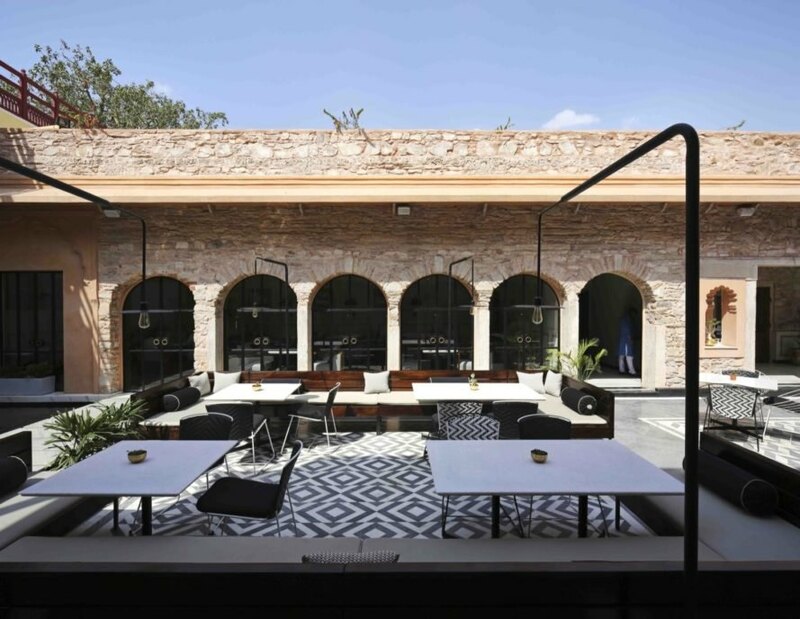 The restaurant is organized around a pavilion-like bar, created in the likeness of a ‘baradari’ (meaning a pavilion with twelve columns), that divides the courtyard into two zones and is built from handcrafted marble and glass. Traditional Jaipur craftsmanship is mixed with modern design throughout the restaurant, from the structural additions to flooring and furniture. The black and white marble floors, for instance, are a contemporary take on the traditional Rajasthani leheriya pattern, while the designs for the decorative art made from thikri (mirror) techniques were computer generated. Energy usage is also minimized thanks to a combination of low tech and high tech means. 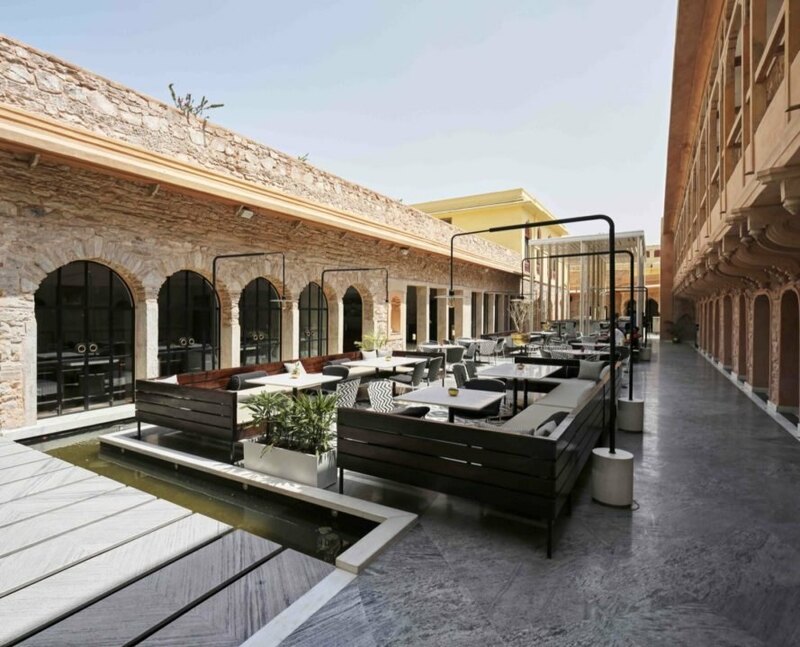 In addition to energy-efficient air conditioning and remote-controlled LEDs, the restaurant is equipped with rainwater harvesting systems and strategically placed water features that help create a cooling microclimate. 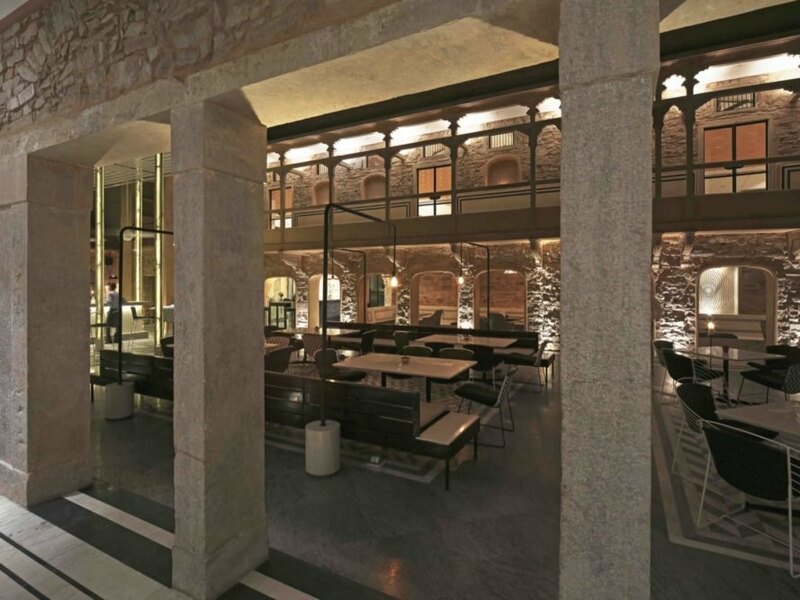 What was once part of an ancient palace has become a restaurant that embraces the historic property. A before image of the property. The architects removed plaster to reveal the original stone masonry. Studio Lotus took careful steps to restore the property to its original glory. The studio also incorporated modern design elements for a unique finish. The blend of high and low tech has created an energy-efficient structure. The restaurant features private dining areas, a bar, lounge space and more. The design pays homage to the city's rich architecture and history. Now, the restaurant stands as a beautiful blend of old and new.